We are a small breeding family located in a small town in the mountains of east Tennessee (between Knoxville & Bristol). We strive to continue to breed wonderful pets and believe in top quality not quantity. All of our Miniature Dachshund parents are pure blooded Dachshunds, registered with AKC, and are all part of our family and live under the same roof as we do. We do not use cages. Everyone lives and sleeps inside, but get to go outside anytime they want, through dogie doors. Except the puppies are not allowed outside until they have had all the vaccinations. They are slightly spoiled and very very very loved. Our puppies are sold as family pets, and are all raised in the house with us because they are our family, and of course are handled endless times every day. It's not very hard to continue doing justice to a breed that is already "PERFECT". We believe this to be a "fact" not just an opinion. Doing justice to the breed is VERY very IMPORTANT to us. We do our very best to breed and raise Dachshunds in the Miniature size (occasionally a Tweeie happens) that are well grounded and are true to the breed. We also try our hardest to breed well balanced and conformation correct little ones. 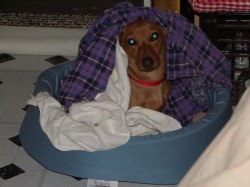 We try our best to produce top " QUALITY " Dachshunds! ​Color and pattern "are NOT" our primary focus and never will be! They are very adventurous little ones and "LOVE" to be the center of attention but can be taught to step back and trust you once they see you love them as much as they love themselves. Dachshunds are truly wonderful dogs. We have found them to be completely loyal, loaded with personality, extremely happy, alert, sensitive, smart, sometimes a little stubborn and above all a complete joy to be around. CARE AND SERVICES FOR THESE LITTLE ONES. This is also what we try our best to do for them and the public. We believe they are here for our enjoyment, and they deserve the best treatment. Placement/adoption approval is required before we will allow our babies to leave our home. Miniature Dachshunds are like a piece of candy. We breed the following patterns and colors in long and short hair. Dapples, Piebalds and Brindles in all colors. Shaded Creams, English Creams and ee Creams. Chocolate based Reds and also no tan or cream points in Black, Blue & Chocolates. We do not let our pups leave until they are 8 weeks old, and sometimes a few days past if they are not eating to our requirements. This is not negotiable. If the timing is going to be an issue, then we recommend you wait until it is "not" an issue any longer. Our babies well being is and will always be our first priority! We deworm our pups every 2 weeks until they are 2 months old, then every 3 weeks until they are 4 months old and then once a month until they are 1 year. Adults are dewormed every 90 days. If a Mom is pregnant she is dewormed an additional time 2 weeks before her delivery due date. We administer all vaccines according to recommended canine guidelines. At about 6 weeks old we give a Parvo shot then between 8 & 9 weeks we start their first of three 5 way vaccinations, and administer them every 3 weeks until finished. We do not give our pups the 7 way vaccination because some Dachshunds are allergic to the "lepto" virus in the vaccine. Our puppies are raised in a bedroom of our home and are handled and loved on several times a day from the second they are born. We start the weening process at about 7 weeks of age to give the pups plenty of time to adjust to being on their own and learning to rely on humans more than Mom for comfort, food and playing before they go to their forever home at 8 weeks old. We start potty training our pups with pee pads during the weening process as well. We do not use cages to raise any of our babies (adults and or puppies). Pet price means the puppy is to be spayed/neutered and the buyer will have to sign a contract the day of pick up or delivery saying they will get the puppy neutered/spayed by the appropriate age (by 1 year old). Proof of the procedure will then have to be supplied to us. AKC limited reg. papers are an extra cost and are NOT offered with every litter. Buyer will be required to discuss limited registration ahead of time (before pick up) to see if we have plans to register the litter and will be offering to purchase limited AKC registration or not. We honor a 2 year health guarantee from any fatal life threatening genetic defects. As with most breeders - We require the puppy be seen by your Veterinarian with in 72 hours of adoption for your protection as well as ours. This visit is to verify the puppy is as healthy that we say she or he is as well as get established with your Vet. with a puppy wellness plan, continue puppy vaccinations, dewormings, etc. We are a registered private breeder with the IRS, state of Tennessee, and the county we live in. To protect the health of our Dachshunds - visitors are not allowed to bring any pets onto our premises at anytime. Sorry. We are just looking out for the safety and health of our babies first and foremost. If we find this rule is not respected or followed then your deposit will be forfeited and you will be asked to leave the property immediately! We are not available everyday of the week for pick up appointments. We also will not do any business on Sunday mornings, occasionally we are able to do a courtesy pick up appointment in the mid afternoon if it is scheduled weeks in advance and does not conflict with our family time. We do not do business in anyway through a 3rd party under any circumstances! That also means we WILL NOT hand over one of our babies to anyone else but the owner/buyer approved to adopt. We will not take a deposit from a Business, broker, etc. as that is a 3rd party. Unfortunately we just simply have not ever been able to find the time to manage a "waiting list" so we do not offer that as an option and we do not accept deposits ahead of birth. Visitors are welcome but because we do this in our home, we do have requirements before an appointment is set to pick up a puppy. We are small so we have to limit the amount of people at an appointment. And PLEASE DO NOT ever come to our home after you have visited any other animal facility! are a few of the previous babies we have brought into this world over the years. They have "ALL" been placed. link above to see Adults/Teenagers and puppies for sale! 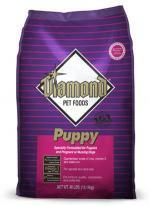 We have fed Diamond food for 9 years now. 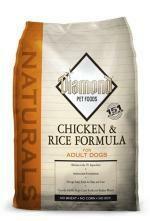 Chicken & Rice ​Adult & puppy formula. ​"All" Tractor Supply's carry Diamond. We will respond but our reply might go to your spam.